Worship was first published in 2008, by c.a.t. (under the NCC umbrella) responding to a need within the Christadelphian community for usable original music. It was released in time for the Australian National Christadelphian Conference, held at Sydney, and quickly over 1000 copies were sold. The 2nd edition, published in October 2010, has additions and corrections but essentially is the same book from 2008. The 2nd edition also has capo chords for some songs. To date (2013), around 2800 copies have been sold worldwide. 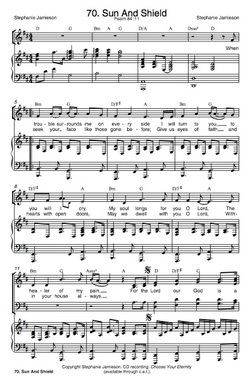 Worship consists of piano/vocal, SATB, and lead sheet arrangements. Many of the songs have already been recorded in Australia and the UK. A wide range of musical styles are within the book, including contemporary pieces, choral pieces, ballads, hymns, rounds, works from original musicals, and so on. There are additional Worship resources at the c.a.t. site including files for transposing instruments and audio files of most of the Worship songs.